A large portion of the maps were part of the Local History Collection at the Whitby Public Library. They were transferred to the Whitby Archives in 2015. Other maps in the collection were part of the Whitby Archives collection and were acquired through various means. Collection contains a variety of maps, plans, and drawings pertaining to the Town and Township of Whitby. Maps have been physically arranged according to map type, including Street and Tourism, Physical, Political, Transit, Historical, and Architectural Drawings. Condition varies from map to map. 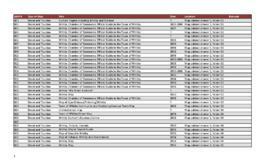 Please see attached inventory for file listing.